A year of the world economic crisis has brought about a profound change in the face of the Russian unemployed – now most of them are young people aged 18 to 30 and only 7% of the unemployed have no education. The Trud daily has compiled a profile of the Russian unemployed based upon the data of the All-Russia Public Opinion Research Center and the Public Opinion Fund. According to Trud, the Russian labour registry office’s clients are no longer disadvantaged, middle-aged people with little education or experience– but young people, mostly with education and a couple of years’ experience behind them. In particular, 18% of the Russian unemployed have a university diploma. In general, a typical Russian unemployed worker is now a man under 30, living in a small town or a village and having a high school or specialized secondary education. The high unemployment rate among men can be explained by the fact that the economic crisis has largely affected the industry and building sectors where the majority of their employees are men. Meanwhile, a quarter of the young Russian unemployed may certainly be labeled “young idlers” – as they have never worked. 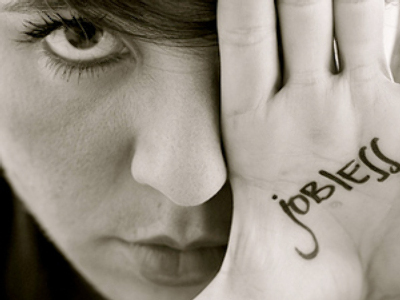 And a third of the unemployed have not been looking for a job for more than three months. In villages, though, the situation is much graver. More than a third of the unemployed have been unsuccessfully looking for a job for more than a year – and in the end, many gave up.